General Admission Tickets are standing room only! At just 20 years old, singer-songwriter Tucker Beathard already exudes the confidence and swagger of an established artist. It’s probably because music is in his blood. He started playing drums and guitar in a band with his brothers at 10 years old and had an early immersion into songwriting via his dad, two-time BMI “Songwriter of the Year” Casey Beathard. 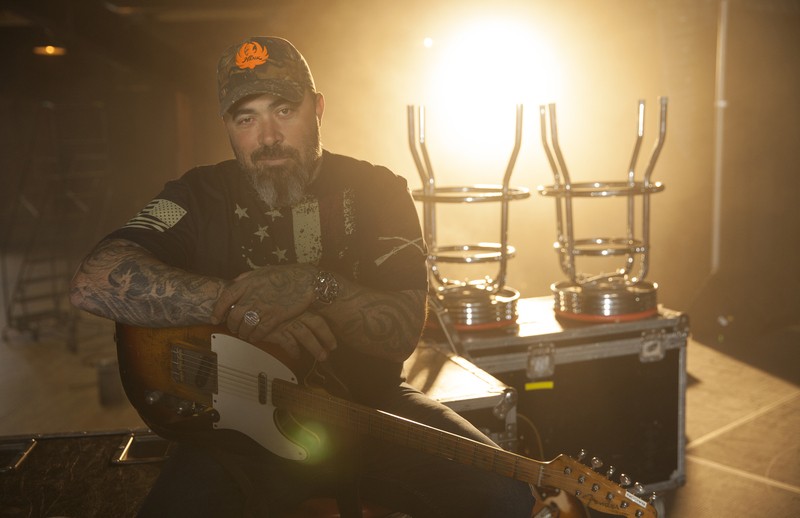 It was Tucker’s rebellious attitude as a teenager that inspired the lyrics for the chart-topping hit “Homeboy” recorded by Eric Church. Not long after making the decision to forgo a baseball scholarship to focus on music, Beathard signed a publishing deal with Big Machine Music and a recording contract with DOT Records. Now he is beginning to carve a path for his own unique and unapologetic sound with lyrics like “Hell no I don’t mind turning heads; Hell yeah I’ll get by living on the edge; Our point of views may never meet; I don’t wanna be you, yeah I know me.” Beathard is working on his debut album and is already booked for shows this summer with superstars Dierks Bentley, Eric Church, Miranda Lambert and Keith Urban. When the two Kentucky boys—Eddie, is from Lancaster and Troy is from Lexington—first busted onto the national scene in 1999 with the defiant “Hillbilly Shoes” notice was served—country music had never seen a hard driving duo like this. Make no mistake about it: Montgomery Gentry has secured a place in musical history with a unique blend of country, southern rock and Everly Brothers-like harmonies combined with relatable lyrics. Every Beatles song performed in chronological order. For the seventh consecutive year, Columbus musicians will play all 215 officially released Beatles songs, in a single performance. Beginning with the album, Please Please Me at 12:30 PM, and ending with Abbey Road some time after midnight, The Beatles Marathon is currently, the only single performance of every Beatles song. General Admission Tickets are $20 in advance and $25 day of show. Come for the concert and stay for the post concert dance party! Get ready to #RaVe!!! Each night of the tour, we’ll kick things off with pre-show dance tracks curated by my friends at Radio Disney Country, and then after my show, we’ll dance the night away together! Tickets available on March 8th! Spotlighted on Pandora’s Artists to Watch list for the new year, 2017 is already proving to be a career year for singer-songwriter RaeLynn. Following the highly anticipated release of her Warner Bros. Records/Warner Music Nashville debut single “Love Triangle” to the overwhelming response of critics, the stunner has sold over 100,000 copies before even reaching the Top 30 on the Country singles chart. Lauded as one of Rolling Stone Country’s Best 25 Songs of 2016, the heartbreakingly raw video for “Love Triangle” was released exclusively to PEOPLE.com and CMT and is striking a visceral reaction with Country radio and awestruck fans across the country.